MC Sniper | It's Conspiracy! Group SS501 wins #1 on K Chart on KBS Music Bank today with hit ‘Love Like This’! 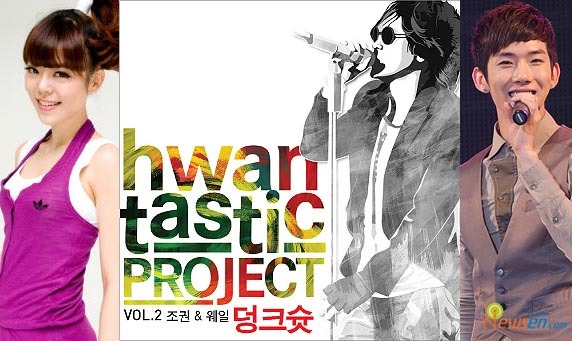 Dream Factory Club (founded by Lee Seung Hwan) will partner up with Fluxus Music to promote Lee Seung Hwan’s “Hwantastic Project.” This project is for Lee Seung Hwan’s 20th anniversary since his debut, and will showcase his songs from the past. This project’s first work is a song from his 8th album titled “Heart Disease” and it was reinterpreted by artists MC Sniper, Outsider and Horan (Clazziquai). “Heart Disease” was a hit, ranking highly in various music charts. Today, the project’s second work called, “Dunk Shot“, was released and this time it was sung by 2AM‘sJokwon and Whale. This song is originally from Lee Seung Hwan’s third album called, “My Story“, and it was a hit song in the past. Whale, the female vocalist from W&Whale, is said to have great vocals. How good? Well artists such as DBSK, Wheesung and Fany in the past have chosen her as a musician that they want to work with. I think thats convincing enough, don’t you think? YG artistes GDragon and Sandara Park are recently in the spotlight for their comical caps. GDragon was seen wearing a cap with the words ‘Got-mi-nam’ or short of ‘becoming a pretty boy at once’ when he went up on stage to receive his 2nd Mutizen on 13th September. 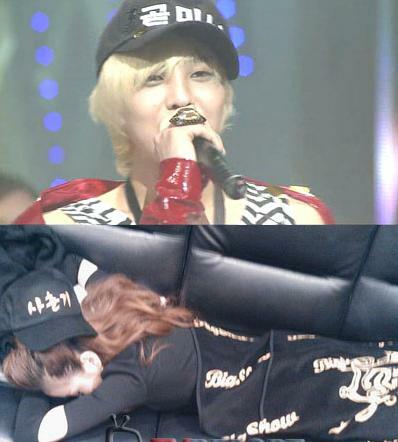 Also on the same day, 2NE1 Sandara Park uploaded a photo of herself lying on the sofa wearing a cap which wears ‘puberty stage’ on her me2day account. With that netizens say, “YG singers have a fun sense of fashion, and I like it”.